The 2020 Chunyun is from January 10 to February 18, when train tickets will be under great demand. TravelChinaGuide recommends you to avoid traveling to China during the period or book the tickets as early as possible. What are the reasons of Chinese New Year Migration? Millions of people working or studying out of their hometowns will be hurrying home to reunite with families as the Chinese New Year (Spring Festival) approaches. This long-held tradition is the main reason for the rush. The other is that the holiday is one of the two week-long holidays of the year, a perfect travel time for many people. If your China tour is happen to be arranged during the Chinese Lunar New Year, you had better make early plan and contact a travel agency or ticket agency to book ticket for you. To book the ticket on your own, you have to be in China, know some Chinese, and also have a Chinese bank card that supports online payment if booking through internet. 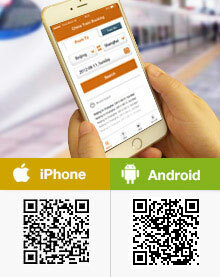 Now a ticket can be bought through internet and telephone 30 days in advance and 28 days prior to departure at stations or some ticket windows in towns and cities; due to adoption of real-name ticket policy and identity verification, some ticket outlets in downtown are unable to issue tickets for foreign/ Hong Kong/ Macau/ Taiwan passengers. For detailed methods of booking a ticket, read How to Buy Tickets and How to Buy Tickets Online. Please note that if you book through internet, you just need to pick up your ticket before departure at stations by showing your valid ID certificate, usually passport. During the Spring Festival Rush, there are more chances to get a ticket through internet than purchasing at stations or ticket windows. During the Chinese New Year Travel Rush, the steps of taking a train will take longer time as everywhere of railway stations are crowded with people, so you are advised to get to the station at least 1.5 hours prior to departure. Most stations will set temporary waiting rooms outside of station halls and air-condition and heat are not available, so remember to wear warm clothes as most cities in China are cold during Spring Festival. Avoid taking heavy luggage as it will be inconvenient for you waiting in lines to enter the station hall, check in, and get onboard. Also, take good care of your luggage when you are in the crowd. After you get into your carriage, keep your luggage in sight or put it under your lower berth, and try not to expose your personal information to strangers. Do no throw away your ticket after arriving at your destination, as the ticket carries your personal information. When you get out of a station, ignore the “kind-hearted” venders and take official taxies or buses to your hotel. Excellent service, I had little time to get to the station so it was very helpful having all this right at hand. Everything with my two tickets you kindly organized for me was fine, train perfect also. I would like to say I would be happy to use these services again for future travel, and also to refer my friends. Everything was fine during my trip to Jinan and Beijing. Thanks for your support! Without your agency support for ticket purchasing, it would have been a lot more difficult to manage it at the train station. I highly recommend all foreigners travelling to China, who plan to travel by train, to purchase the train tickets in advance. It saves a lot of time, it is easy and straight forward. You and team did a great job, thank you. I was very happy with the booking procedure you provided. We need to booked many many trains ride and your end did it without any mistakes. Everything is as instructed, which make it very easy for the booking. Mostly appreciated that your end actually really help us choose the seating position on each train as we prefered it. it makes a huge different in our travel. And ticket is deliverd very quickly. My experience with you was very good and I can only recommend your services. You were very responsive and helpful. I will be very happy to use your services again in the future. All the best! Overall, I am very happy with the procedures and communication that we had, during the booking. The Shanghai train facilities were very nice, while I was waiting. The instructions that were provided by TravelChinaGuide were very helpful in guiding me through the process at the station. The train ride was comfortable and the staff visited the car regularly to see if travelers required any refreshments. Again, I am very happy with the service and overall experience. Thank you for all of your help! I found that booking the tickets online was very easy to do. There are few ways for foreigners who don't speak Chinese to purchase tickets in advance so this is a very useful service. The train trips all went well also. We travelled during winter and all trains were nicely heated. We took the train from Beijing to Shanghai and back. The entire experience from booking to travel was extremely easy. The staff was quick and professional, when changes to the original trains I ordered came up the change was very simple. My tickets were waiting as promised at my hotel. The train station was easy to explore as a foreigner, as a foreigner the only advice I could give would be do not expect orderly lines to board the train. Really satisfied with every aspect of the service and support received. Thank you! When the Spring Festival Rush Ended? I plan to have my visit during mid March till end of march, is it still in Spring Festival Rush period? Haha, you also know this rush? I checked, it will be end around Mar 1. This should be a good news for you. I hope to go to the Harbin Ice Festival in January 2019 then travel south from Beijing ending up in Hong Kong about the 25th of January. Are there likely to be any problems getting train tickets through your agency for travel before the 25th? In fact the ticket from Beijing to Harbin is indeed hard to get during that Ice Festival time. The new year holiday is from Feb 04, but the peak season will start in advance and last around 45 days in total. So your travel date may still under some influence. If you decide to travel during these days, it would be better if you can prepare some back up trains and seat class etc so that you got bigger chance. Is the subway fully operational on New Year's Day (Fri, 16 Feb)? I arrive at 5.30pm and want to take the subway from the airport to my hotel. Is this going to be possible? Yes, the subway lines are on operation during holiday time. IS THERE ANY POSSIBILITY TO TAKE SUB WAY TO XINTIANDI HOTEL BEIJING DURING THIS RUSH DAY? Do I have to take Privat transport ? Do you refer to the one at Wangfujin? If yes, it is near Wangfujin subway station, you can use subway to reach there. During the rushing time around 5pm, the subway can be crowded. If you find it too crowded to use, you can change to a taxi as well. Hi, if I book Spring Festival ticket two months ahead through your website, would that be early enough to be guaranteed? If not, how early should it be. Thanks. Well, for this rush time, the ticket is hard to be guaranteed. In fact, at this time, the tickets only begin for sale 30 days within departure date, so even if you book them months in advance, they can only possiblely be issued after the sale date. Before the final issuing, the ticket is not a confirmed status. If you cannot avoid these travel date, it would be better to have more back up options in case your first choice are not available.